Now we know how Elon Musk plans to get 1 million people to Mars. 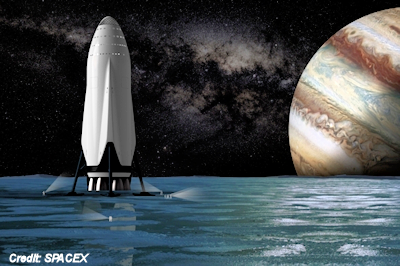 The SpaceX CEO unveiled the company's Interplanetary Transport System (ITS). Now we know how Elon Musk plans to get 1 million people to Mars. At a conference in Mexico today (Sept. 27), the SpaceX founder and CEO unveiled the company's Interplanetary Transport System (ITS), which will combine the most powerful rocket ever built with a spaceship designed to carry at least 100 people to the Red Planet per flight.